Today it’s clear that some of you are dealing with a break up. The Wheel of Fortune, The Knight of Cups, and The Four of Swords tells me that a love offer has gone sour, or a relationship with someone who had offered you their love, has now ended. As a clarifier for The Knight of Cups, I pulled The Ten of Swords, confirming that this love offer has indeed gone sour, and if your relation to this person hasn’t ended already, it should. The Knight in this reading exudes the energy of The Ten of Swords, meaning it is likely that this person has betrayed you. Your energy is coming out as The Queen of Cups, saying that you need to be focusing on your own emotional wellbeing at this time. The Queen always gives me a feeling of strength and the ability to care for herself. If you are feeling alone and broken, the Queen’s energy of personal power, emotional control and strength should help you to remember your own strength in this situation. To dig deeper into the Queen’s (your) energy for today, I drew The Seven of Pentacles and The Fool. 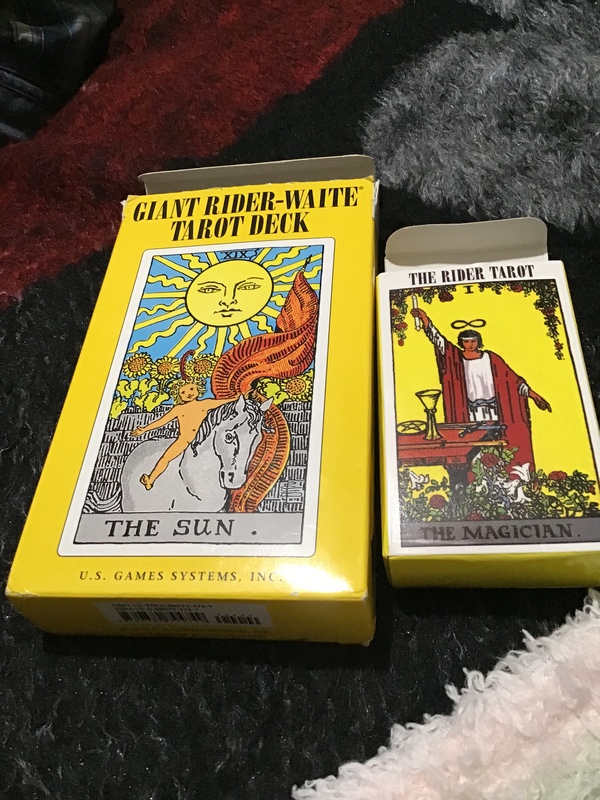 These cards together with the Queen tell me that you had worked very hard on this relationship, and you went about it in a way that was open and trusting. Also, The Seven of Pentacles is here to advise you that in the coming weeks and months, will need to focus your attention on yourself. In order to work yourself back up to the beautiful human being that you are, you mustn’t waste time on things that no longer serve your purpose. The Fool’s message for you is to be excited for what has yet to come! Go about life enthusiastically, and ready for adventure. More importantly, do not allow this troubling situation to bring you down or make you fear the world, or the people in it. There is still love and friendship out there for you. Always remember that just because you opened your heart and received hurt, does not mean that you received that hurt because you opened your heart. Meaning, we take a huge risk in opening our hearts and letting others in. Once invited in, others have the power to uplift us, or destroy us, with our trust now in their very hands. There are times when you will be hurt by others that you once believed in and trusted wholeheartedly, and there is no doubt that this will be a painful experience. But you cannot allow your heart to remain closed, in fear of being hurt again, should you eventually invite someone new in. You did not get hurt because you were open. You were open, and then you got hurt. Previous Article CANCER ~ How’s your LOVE life in April 2019?